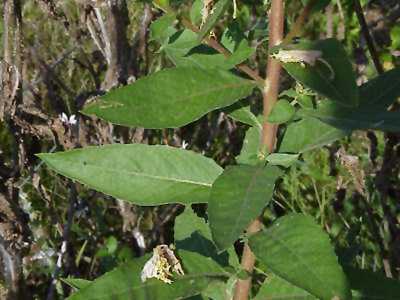 Description: From 3 to 5 feet tall, Leaves range up to 6 inches in length; lower ones possess stems but most of the leaves are sessile, slightly dentate lanceolate. 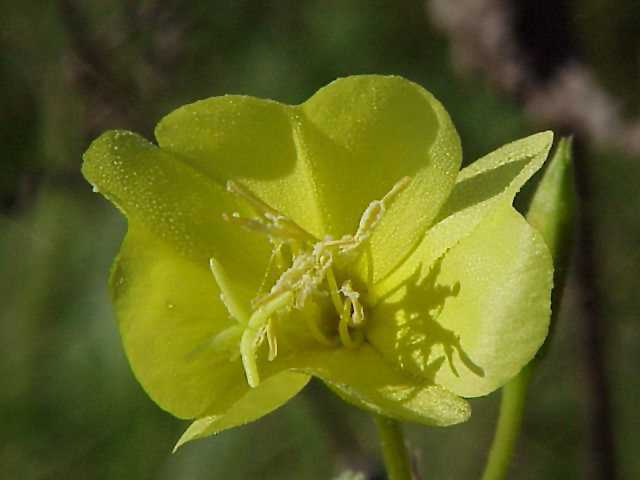 The bright yellow flowers open in the evenings and closeed by mid morning. 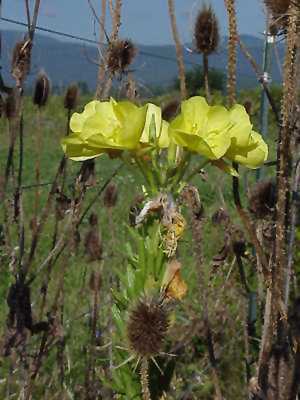 Flowers having 4 large petals and are 1 to 21/2 inches broad, cross shaped stigma and reflexed sepals.